This episode of Married With Horses was recorded from inside the truck headed to (and from) the pro rodeo in Goliad, Texas. These “Rodeo Road” episodes are a little different in that we don’t have a plan or really any agenda except to just talk and record our normal chatter in the truck. This conversation gets random and really goofy at times. If you’re easily offended, let me apologize up front. 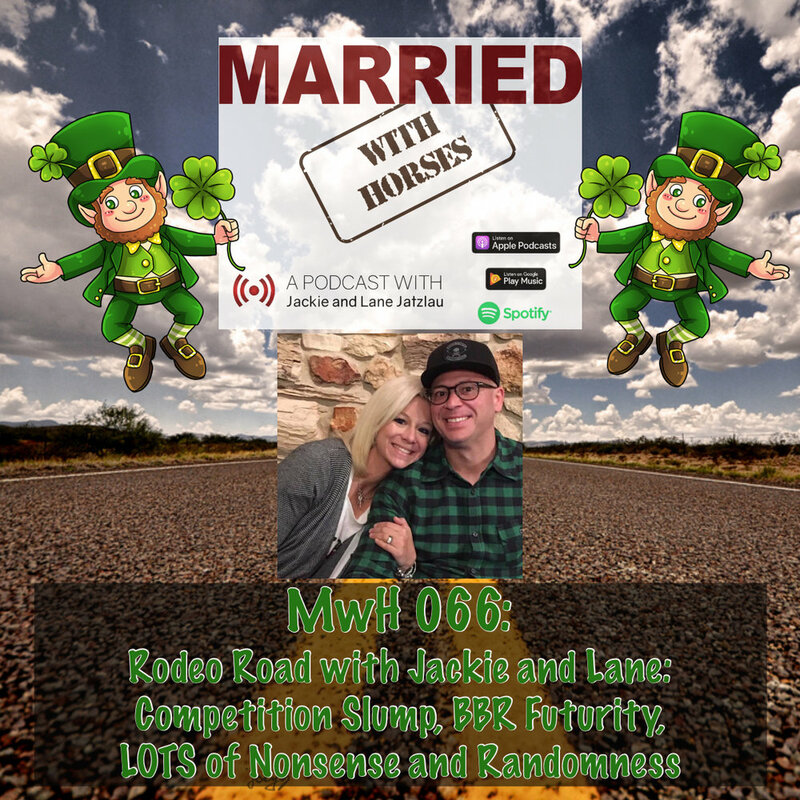 In between the goofiness, we talk about Jackie’s recent barrel racing slump and what’s she’s trying to do to break out of it. We talk about the newly scheduled BBR Futurity in Oklahoma City in December and the new landscape of the barrel racing futurity world. Aside from that it got random and we talked about stuff that you might or might not care about, but we hope it at least puts a little smile on your face. Thanks for hanging out with us!